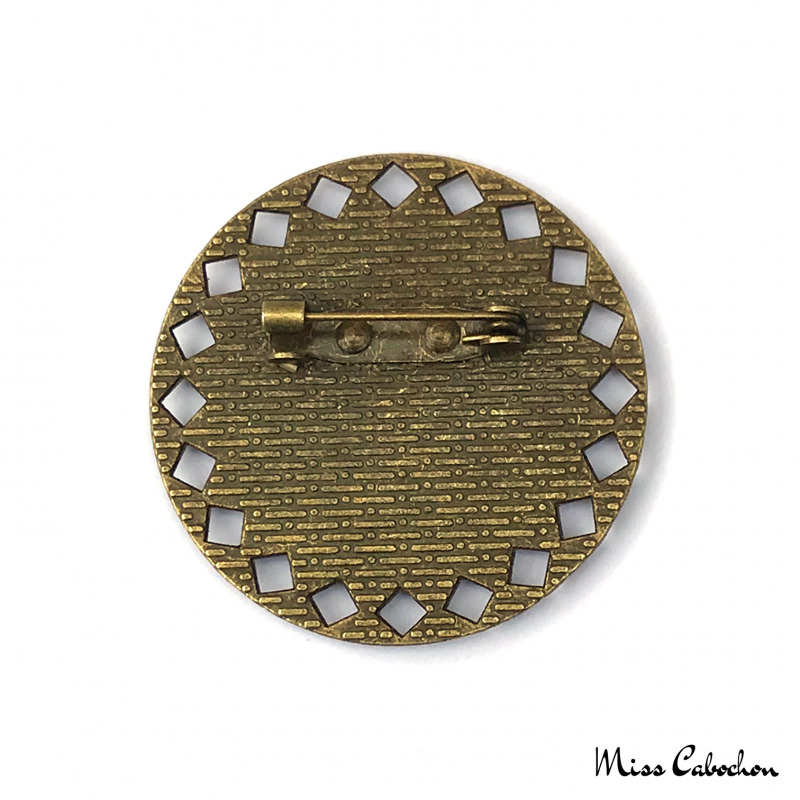 Art deco style domed glass cabochon brooch on antique bronze colored metal. 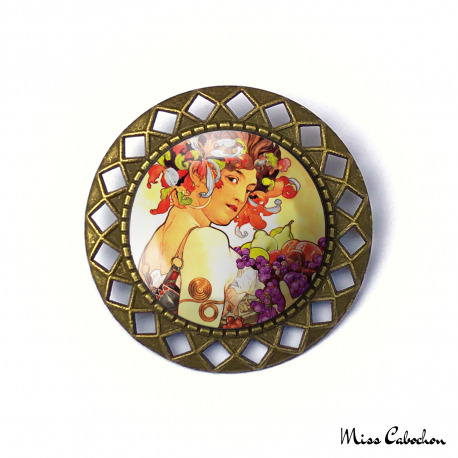 The background of this brooch is a part of the illustration "Fruits" made in 1897 by Alfons Mucha. 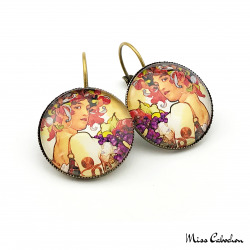 The Czech artist Alfons Mucha was an illustrator, painter, decorator and architect. 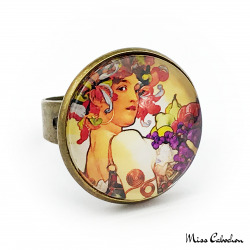 The colors of the original illustration were enhanced by Miss Cabochon for greater brilliance and visibility.